What's more rewarding than bottle of ice-cold beer after a long hours of hardwork? 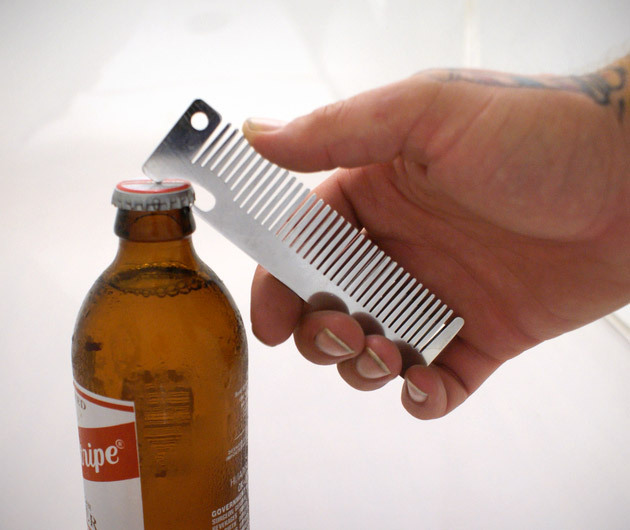 The Old Familiar Bottle Opener is a handy device made by Columbus-based barber extraordinaire Kenji Prince. This invention is effin genius, it doesn't only keep that shiny hair in place but also crack open your favorite drink. You're the man Kenji!